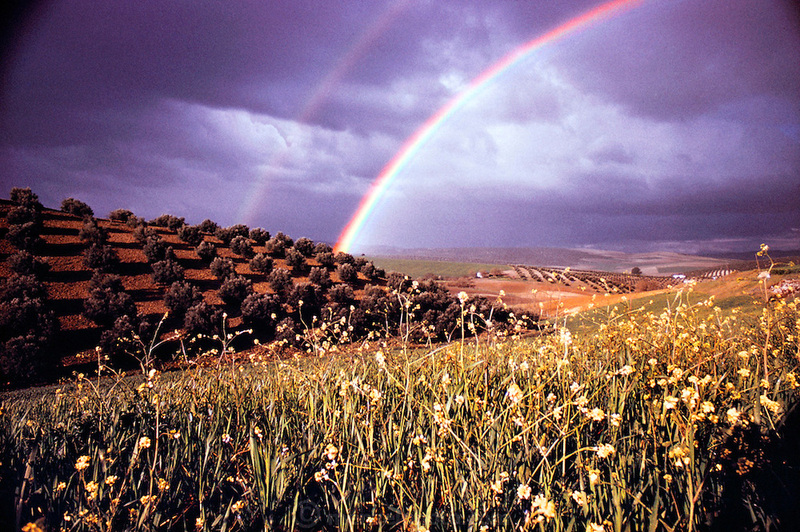 Weather: Rainbow in southern Spain over hills with olive trees. Rainbows occur when the observer is facing falling rain but with the sun behind them. White light is reflected inside the raindrops and split into its component colors by refraction.